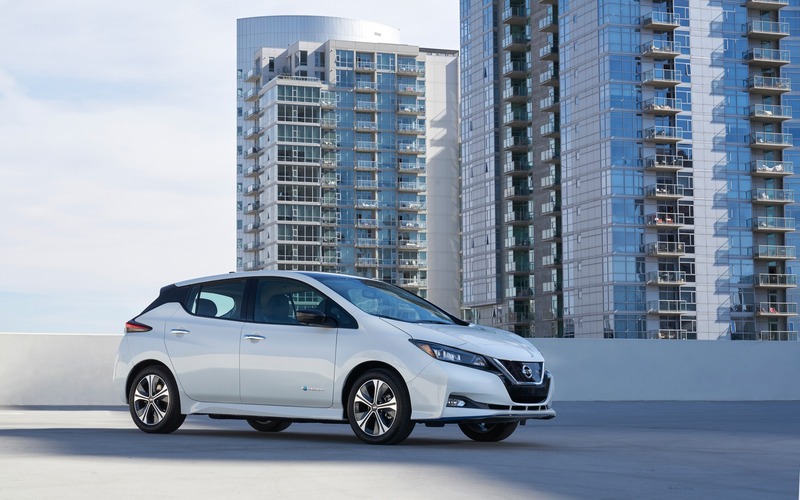 Only a few days following its world debut at the Consumer Electronics Show, the new 2019 Nissan LEAF PLUS makes its first Canadian appearance and the Montreal International Auto Show. Almost identical to the “regular” Nissan LEAF, this new variant stands out with its 62-kWh battery pack that boosts range by as much as 40%. The Nissan LEAF PLUS can cover a distance of up to 363 kilometres on a single charge, a significant increase compared to the base LEAF’s 243-km range. Thanks to this new battery, the Nissan LEAF also gets a power increase to 160 kW, or 214 horsepower. Each version will have its own trim levels, such as S PLUS, SV PLUS and SL PLUS. Pricing will be announced at a later date and the longer-range LEAF should go on sale in North American in the spring of 2019.